May I present you one of my awesome birthday presents this year? 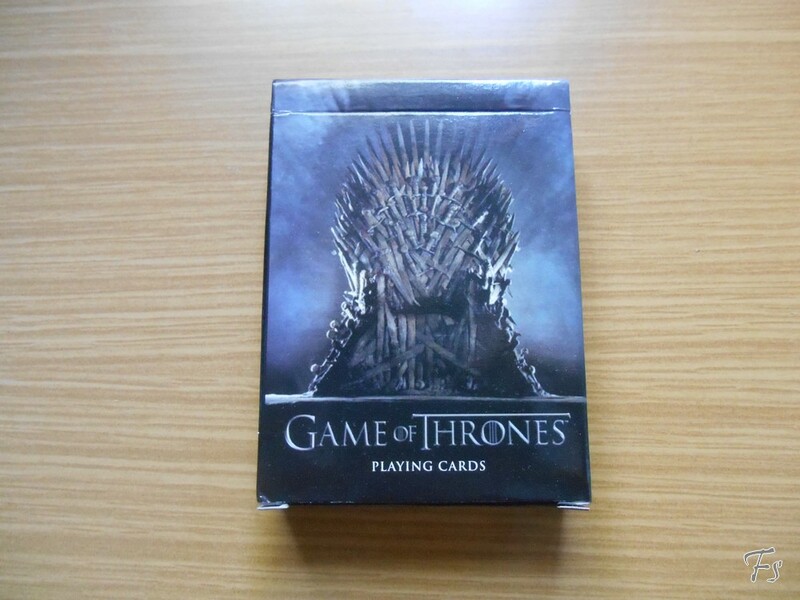 A Game of Thrones card set. 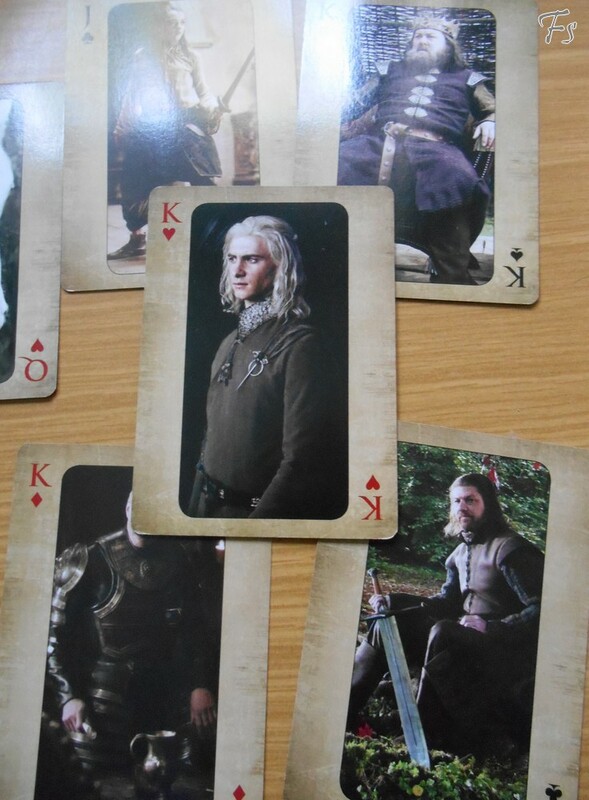 As you can see the special thing about this set is, that some cards show our favorite (and least favorite) character of the shows. 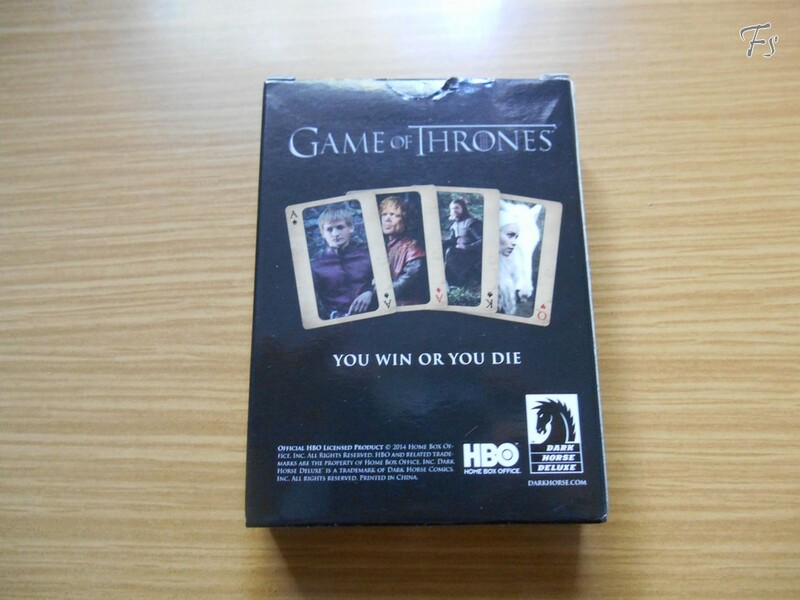 But only on the king, queen, jack and joker cards. The other show symbols from the houses. Besides the GoT Stuff it’s a simple set, but I love it.